There’s comfort to be found in a routine. Wake up. Take a shower. Grab some coffee. Brush your teeth. Before tackling the day, we all have our own rituals. Does the dry winter air affect you at this time of year? Has a nosebleed become as routine as morning coffee? If so, you aren’t alone. Thanks to our cold winters, homeowners across the tri-state area live with dry air. In addition to nosebleeds, dry air can cause symptoms such as sore throats, irritated nasal passages and more. But just because the outdoor air is dry, this doesn’t mean you need to live with it indoors. Vito Services installs humidifiers to help customers overcome the dry winter air. In addition to our HVAC and plumbing services in Rockville, MD, we are your local indoor air quality experts. If you’re tired of living with allergy symptoms, dry skin and other aggravations, here’s how a whole-home humidifier can save the day. IAQ is about more than just feeling comfortable. In addition to allergy symptoms, dry air can lead to respiratory infections and other health issues. Children are at an even greater risk because they breathe in more oxygen relative to their body weight compared to adults. In addition to health benefits, a whole-home humidifier can help lower your heating costs. As the humidifier releases moisture into the air, this slows down the evaporation process and makes you feel warmer at a lower temperature. You can lower the thermostat and save more money when your home maintains proper humidity levels (between 30 percent and 50 percent, according to the Environmental Protection Agency). Advances in HVAC technology have led to more holistic home solutions. The humidifiers we install can work right alongside your furnace. When the furnace is running and humidity levels fall below the set level, your system will automatically add moisture to the air. There is no work required on your part. Your humidifier will do it all for you! Do you already own a portable humidifier? Then you’ve probably noticed a difference between the area it controls and the rest of your home. Unfortunately, portable systems don’t have the strength to reach your entire home. 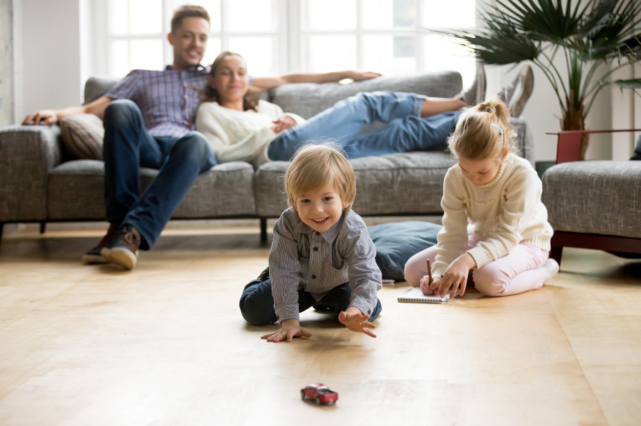 Whole-home humidifiers are much more efficient and can integrate with your central heating system to provide comfort in every corner of your home—not just one room. At Vito Services, we know that every household is different. Depending on your living habits, health histories and other factors, you may be experiencing something totally different than your neighbors. We want to know what’s happening in your home so that our team can help you out. Don’t let dry air dictate your comfort this winter. With the right solution, you can take control and end your symptoms for good! Should something else arise this winter, our technicians and plumbing contractors in Silver Spring, MD, and across the tri-state area are here to help. To schedule service, call your local Vito Services office or schedule an appointment online today.